Looking for a platform to invest your Bitcoin and get back 100% returns in the shortest period? 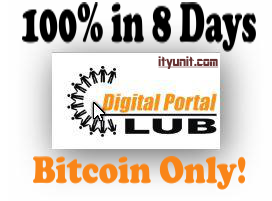 Digital Portal Club provides a safe and secure platform for quick returns on your Bitcoin investment. 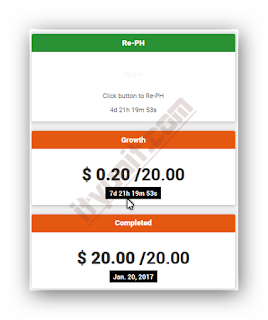 Although it promises 100% returns every 8 days, this review of Digital Portal Club show you how to make 300% turnover for every 30 days cycle after last PH. What makes Digital Portal community different from others is the technology and measures they employ to keep the community sustainable. 1. Usage of Blockchain API technology to automatically confirm payment by submission of hash code. 2. The Recommitment rule which ensures that you Re-PH 5 days from your last confirmed PH. In this way, there are unlimited PH orders to sustain cashflow. Working this out will give you 300% profit in 30 day. See diagram below. To register or take a quick peek around the site, click here. Registration is free and when you register, you are not under any obligation to PH. However, when you PH your timer starts and you have 24 hours to provide the donation. Digital Portal does not collect your money; donation is peer-to-peer. And it always advises participants to use only spare money. Minimum PH amount is $10 and maximum is $250. It is advisable to start with a lower amount as you cannot PH lower than your last PH amount. However, having multiple accounts is allowed. Digital Portal sustains itself by making sure the members of the community PH a part of their earnings. You will be asked to Re-PH (Recommit) 5 days after the last confirmed PH. See the diagram at the end of this article to see clearly how you get 3 times your money at the end of the month. There is no problem of calling the receiver to confirm you as the Blockchain API technology confirms donated amount to receiver automatically. 3. Go to Profile and confirm your details and also scroll down to see your referral link (You get 5% bonus for referral). 4. Go back to Home and locate the PH button, click on it and provide the amount you with to PH (Be careful here, make sure you type the amount eg $20 in the Dollar side (not the bitcoin side). Cross check and click on confirm. 5. All PH are in multiple of $10. 6. Wait for pairing to be completed and you will see the person paired to you within 5 minutes. 7. Copy out the receiver bitcoin address and donate within 24 hours (you will see the timer). 8. Log in to your Blockchain account and make the payment. 9. After sending the payment on Blockchain, under the “Transaction” Tab, locate “sent” under the payment you just made and click on it. The option will open for you to verify your payment on another window. 10. On the next window, locate your hash code which should be the longest chain of alphanumeric characters at the top blue tap. 11. Copy it out and go back to Digital Portal and paste the hash code, then click on “Submit” button. You can always interact with other members of the community live by clicking on the side “Lobby Chat” button. In case you have serious issues to be resolved, log out and locate the “Agent message box” by the left corner. Before you start messaging the Agent, copy out your (1) username , (2) Transaction No. and nay other specific details with screenshots of the issue. 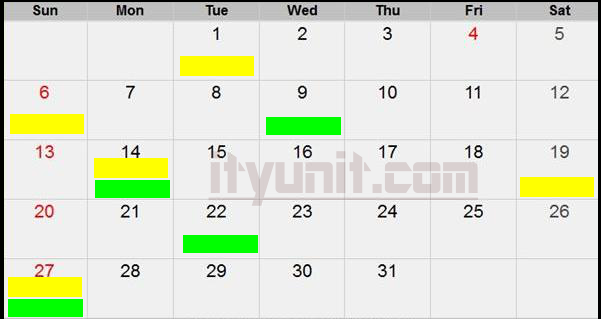 Following the 5-days PH and 8-days GH, you get a total of 5 PH of $10 each and 4 GH of $20 each. 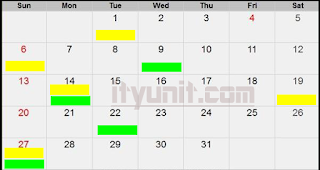 4 x $20 = $80 giving you a profit of $30 (300%) from your initial $10 for every 30-days cycle. This diagram shows that you actually get 3x your investment at the end of the month which you can walk away after last PH but for the sake of sustainability, your last PH value gives you free bitcoin to continue making PH (commitment) for another 30 days cycle.